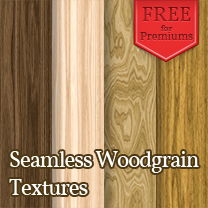 This material pack contains 24 woodgrain textures to add to your SketchUp materials library. Each texture is 600px x 600px and tileable. There are numerous variants and hues available. Premium members can download for free.To install into your SketchUp Library you will need to unzip and add the folder as a collection.